The choice of the format of his pillow is very important and very personal. 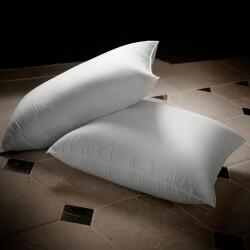 The rectangular pillow (also called American pillow) has replaced our traditional french bolster. 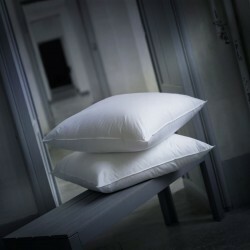 It will support the head and neck of the sleeper. 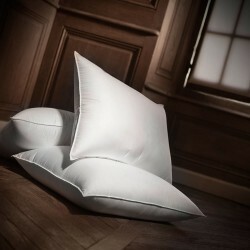 It differs from the square pillow of French tradition, which appeared at the court of Louis XIV, which maintains the head, neck and upper body. 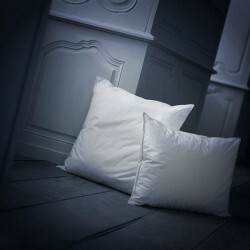 At Dumas Paris, your American pillow is available in different sizes and different levels of firmness depending on whether you sleep on your stomach, back or side. These comforts are available in different collections, depending on your favorite upholstery : down fluff or high quality microfiber. Natural collections first, exclusively composed of new feathers and down: the Royal collection garnished with duck down origin France; the Imperial collection of white goose down originally from Europe; the exceptional collections Moldavia with rare goose down of Moldavia and Sticky, exceptional new duck down hand-picked through a sieve and beaten by bamboo stalks to reveal all its swelling. 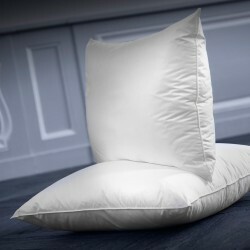 For people sensitive to feather allergies, the American rectangular pillow is also offered in different levels of synthetic comfort. 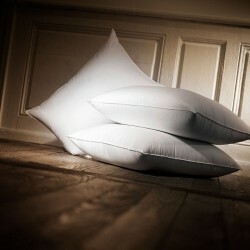 Collections of exception, just as comfortable as the feather: the Alliance, lined with polyester microfiber; the Arpège, exclusive blend created by Dumas Paris of microfiber and micro foam bars; Alchimie, composed of a mixture of silicone hollow fiber and micro-foam bars (present in the « pillow menus » of the 4 stars hotels and Palaces) and, finally, the Allure collection with micro-barrettes foam. 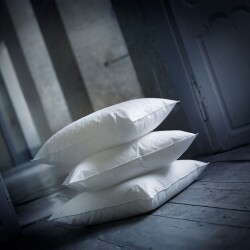 The rectangular pillows 50x70cm Dumas Paris are machine washable, on a delicate mode. Small trick : to give some fluffiness to your American pillow put it in your dryer !